Thinking about adopting in the United States? Check out this overview of domestic adoption for gay men. Thinking about adoption? Gay men have more opportunities and options than ever before, but to be successful it is vital to know your options and understand the landscape of adoptions today. How Much Does Adoption Cost Gay Dads? Gays With Kids answers financial questions for gay dads and dads-to-be: How much does an adoption cost? In the United States, there are two most common types of adoption: independent or private adoption, and agency adoption. Both come with different price tags. Independent or private adoption is when the birth parents place the child directly with the adoptive parent or parents without an agency or intermediary. Parents who pursue independent adoption must still enlist the help of adoption lawyers and other professionals to help with the process. Three states do not allow independent adoption - Colorado, Connecticut and Delaware. An agency adoption is more or less what it sounds like: you will select and work with a state-certified adoption agency throughout your entire adoption journey. It is legal in all 50 states. From gay dads who've adopted, here are 6 things you need to consider if you're thinking about adopting. 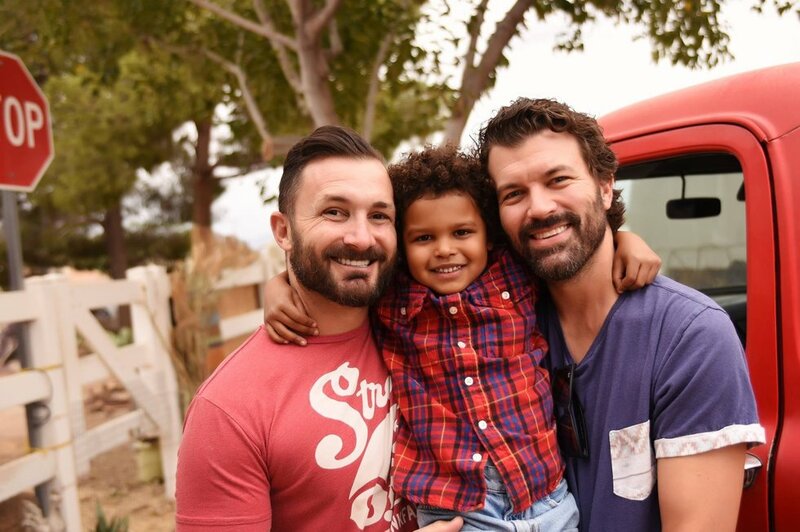 Gays With Kids surveyed a group of dads who created forever families through adoption to learn what advice they have to offer future adoptive dads. From our conversations, here are the top 6 tips that every prospective gay dad needs to know about adoption. 3. Be honest about the child or children you are looking for. Tom (right) and Tod with their kids.